Get your 3 day London Pass here. There are lots of ways to buy a 3 day London Pass, which makes it a really easy and affordable way to enjoy a short stay in this dynamic city. Get it shipped to you abroad or collect from the London office. Save money on top London attractions. Buy a 3 Day London Pass and see London in style. You do not only save money this way, you get priority attention and service too. See all the major sightseeing opportunities London has to offer without breaking the bank! It is a great way to enjoy a family holiday if visiting London.Do not wait till you get to London before buying your London Pass. You can buy it online now and get it delivered to you, or you can then collect it when you get to London, to avoid the queue. For UK delivery addresses, it takes about three days, and for worldwide address outside the UK, it takes about ten to fifteen days to get it to you. Get your 3 Day London Pass here now and see ALL the attractions and places you can visit at no additional cost with your Pass. To collect your order in London you will need to print and come along to 'The Britain & London Visitor Centre, No.1 Regent Street, London, W1' with the London Pass voucher which is emailed to you on completion of your online order. It is that easy. Why Buy A 3 Day London Pass? What You Get. Getting the 3 Day London Pass does more than saving you money. If you are visiting London for the first time, or even if this is not your first time, you want to have as many great memory as possible. 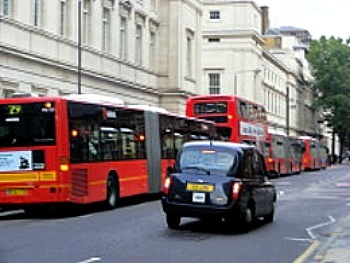 With a 3 Day London pass, you are able to see the City for 3 consecutive days. Visiting 3 places every day alone saves you close to a £100 or more on gate fees. If you visit more places in a day, you save even more. In total, you will be able to get access to over 60 London tours, sights, galleries and museums. You also get fast tracked entry to top attractions without having to queue. What about getting a 160 page book on the City of London, explaining many tours and places of interest and how to get there? Invaluable! If you get a Travelcard with your London pass, it means you get all your train, bus and boat transport paid for at one go, saving you even more money and time. If you are staying for four or five days in London, then a pass which lasts for 3 days is the perfect way to enjoy all the tourist sights, then have a day shopping and perhaps a day just relaxing and enjoying some café culture, before you move on. Passes are also available for up to 6 days duration, but there is one thing to think about. Remember, 6 days of sightseeing in London is pretty busy, so you'll probably find that by the end of the 6 days, you need a holiday to recover. A 3 day pass gives you flexibility to sight see and buzz around London for 3 days, then relax and chill for the rest of your holiday! Often there are 'special deals' available on London passes, just to make life a little bit easier for people coming to the capital, so it may well be worth exploring whether or not there are any deals to be had! The only drawback to buy a 3 day London Pass is that it may not be long enough for you to be able to fully enjoy all the sights that London has to offer. However, since the next option is a 6 day pass, it is probably the one that offers visitors the greatest flexibility. If you are staying for five days, you can always buy a 3 day London pass and then top it up with a 1 or 2 day pass. The London Pass will only take you to sightseeing attractions in London if you bought a Travelcard with it too. It will not take you to many other places in the UK. If you plan travelling across many UK towns and city, then get train times and tickets for your destination using the search box to your right. Make sure your enjoy your trip to London and beyond! Return to "The London Pass" from "Buy a 3 Day London Pass"